True to its meaning, Umang is hope of a home beyond home for 25 of our special children entering adulthood. Launch of Umang is like a dream coming true. It is designed and built to be the future home for children with developmental disabilities ranging from cerebral palsy, mild to severe mental retardation and some with physical disabilities as well. These are the children who are orphaned and are free for adoption but there are no takers for them. So where do they go once adults? 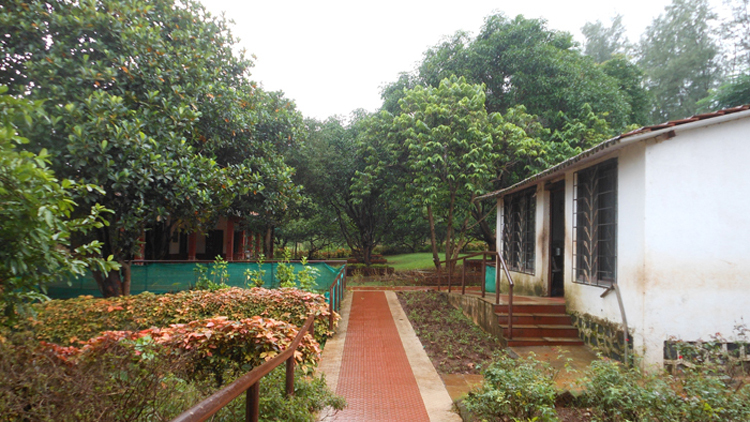 Spread across an expanse of 61/2 acres in Vanjarwadi Karjat District, 90 minutes from Mumbai, Umang is set on an agricultural property with possibilities in various areas ranging from farming and gardening to making handicrafts and even space for a full-fledged cafeteria. Over the last many years, these children have been receiving specialized training at Bal Anand from professionals to develop skills that best suit their individual capabilities and aptitude. In doing so, we have ensured the children will be self-sufficient. To help them function as smoothly as possible, we have appointed a team of dedicated staff and made provisions for all the therapy, vocational training and medical care they may need. The children are already receiving occupational and physiotherapy which will continue for as long as it is required. We acquired property in 2006 and have an advisory team voluntarily come forward to make the dream of Umang a reality. We hope the children turned adult will move to their new home by 2010. To make Umang, a reality we have had support of some of the following people, without whom Umang would not have been possible. Mr. Arvind Prabhoo is an active advocate for the cause of challenged individuals. He’s a great help for project Umang. Mr. Krishna Hedge is our financial advisor. He’s been actively working for almost 2 years now in the development of Umang. Mr. Harshad Mehta has for over 30 years been a legal consultant. He is advising Bal Anand in adoption matters and now he’s also helping us with Umang. Mr. Rajiv Prakash, a thorough management professional, has been advising on the project structure including plans and proposals. Ms. Anuradha Jatar is the headmistress of Sulabha School, school to some of Bal Anand’s special children. Ms Jatar has been advising on the occupational and therapeutic care facilities required for the Umang children. Dr. Swapnil Keny has extensive experience in the field of medicine in India and abroad. His contribution to Umang is vital. Mr. Viswas Gupta and Ms. Smita Gupta are our architects and landscape designers. Mr. Sandesh Bendre is our interior designer leading a great team that is working hard to make the interiors look beautiful. Mr. Siddarth Kalro joined our team recently and is helping us with developing communications material.